Ashley Tate. Photo by Colin Lovett. The St. Louis arts community has teamed up to promote voter awareness and registration through the “Dance the Vote” campaign. This project brings together local artists who seek to make a difference during this election season by getting people registered to vote before the October 10th Missouri voter registration deadline for the upcoming November 6th general election, and committed to voting on election day. Dance the Vote meeting. Photo courtesy of That Uppity Theatre Company. The “Dance to Vote” campaign raises public awareness on the themes of voting and civic engagement featuring local choreographers and dancers from Ashleyliane Dance Company, Karlovsky and Company Dance, Beyond Measure Dance Theater, SkyStone Contemporary Ballet, Washington University Dance Theatre, Imagine Dance Project, Las Rumberas, Madco 2, KYPE- Kuumba Youth Performance Ensemble, Better Family Life and more. Joining the lineup of various dance companies will be spoken word artists, poets and singers including Pam Garvey, Susan Spit-Fire Lively, Roseann Weiss, John Blair, MK Stallings, Ana Jennings, Sahara “Sista Sols” Scott, and Kim Furlow, among others. Voter registration will be provided at the event in partnership with St. Louis Voter Registration Group. 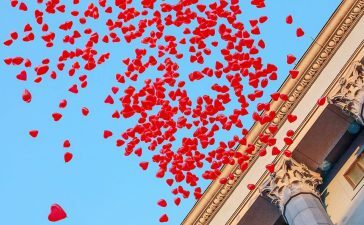 The formal program in the Missouri History Museum’s MacDermott Grand Hall at 2 pm will be preceded by a free community dance piece to music by Michael Jackson to be taught at 1 pm on the steps of the Museum. The event will also offer free ice cream and an all ages selfie station where attendees can take photos with signage that documents their commitment to voting. The project is spearheaded by theatre artist and social activist Joan Lipkin, Artistic Director of That Uppity Theatre Company and Ashley Tate, Artistic Director of Ashleyliane Dance Company. The choreography will be based on various themes of the voting experience, including the experience of African Americans, women, Latinx and people with disabilities around voting, voting rights, voter suppression, voting in other countries, among other themes. “As this is arguably one of the most important elections of our lifetime, we have to come together as artists to offer our talents, vision, and passion to actively participate in promoting voting and voter registration. 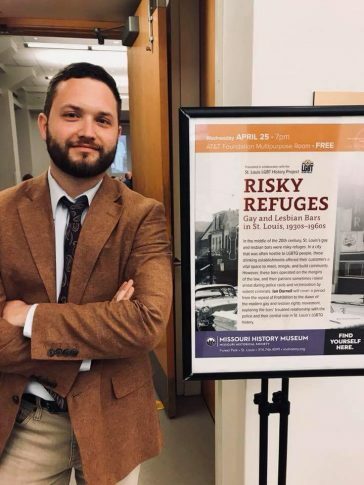 The range of participating artists reflects much of the diversity in the St. Louis community and offers creative and exciting perspectives on why voting is crucial and a precious right,” said Lipkin. Only 36.4 percent of the voting-eligible population turned up for the 2014 midterm elections, according to numbers from the United States Election Project, run by Dr. Michael McDonald at the University of Florida, which marks the 2014 midterms as having the lowest turnout since WWII. In 2016, eligible voter turnout was just over 58 percent. In both instances, a low number of voters have been determining the fate of the nation. We are now in the lead-up to the 2018 midterms, and communities face a number of obstacles to increased voter turnout. 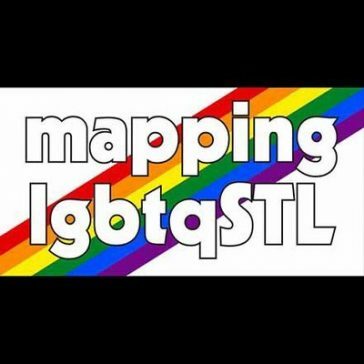 Previous performances of “Dance the Vote” include outside Vintage Vinyl in the Delmar Loop, St. Louis Black Pride and Left Bank Books. 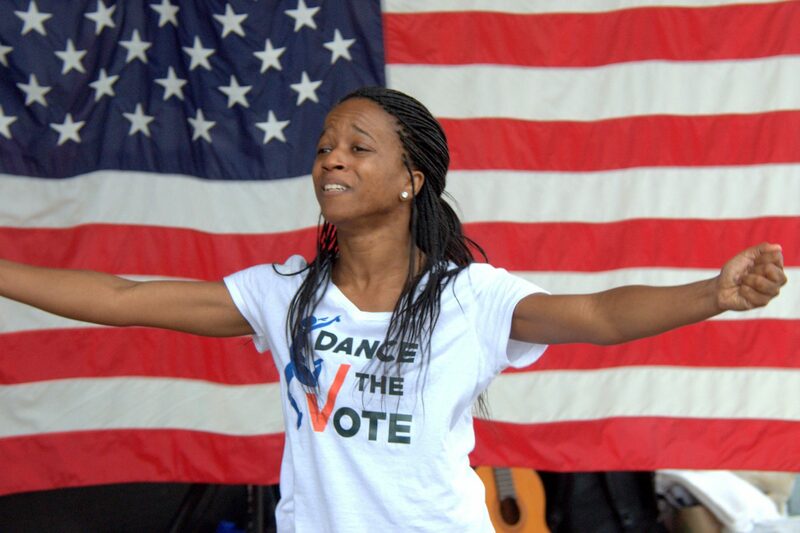 The first midterm election edition “Dance the Vote” performance will take place on Saturday, October 6th from 2-5pm at the Missouri History Museum in Forest Park. 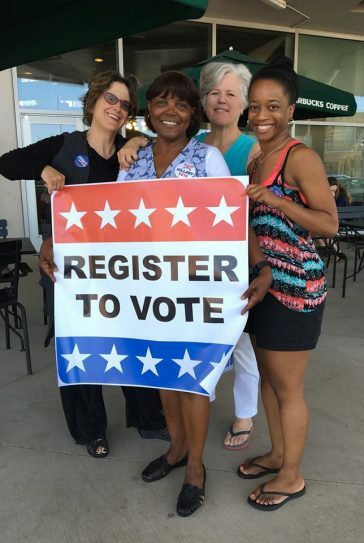 Non-partisan voter registration opportunities will be available on location to interested voters. Performances will be held within a three-hour time slot and each piece will be performed more than once. “Dance the Vote provides an opportunity to showcase the skills of St. Louis choreographers and dancers in service of community involvement. We are excited to create pieces tied to the history of voting to remind the community how important it is to exercise this fundamental right,” said Ashleyliane’s Tate.